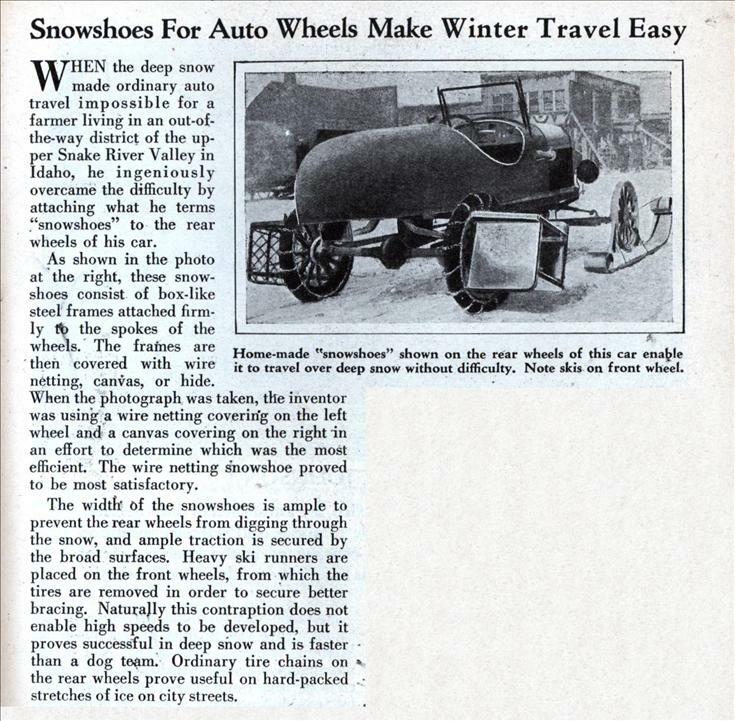 WHEN the deep snow made ordinary auto travel impossible for a farmer living in an out-of-the-way district of the upper Snake River Valley in Idaho, he ingeniously overcame the difficulty by attaching what he terms “snowshoes” to the rear wheels of his car. As shown in the photo at the right, these snow-shoes consist of box-like steel frames attached firmly to the spokes of the wheels. The frames are then covered with wire netting, canvas, or hide. 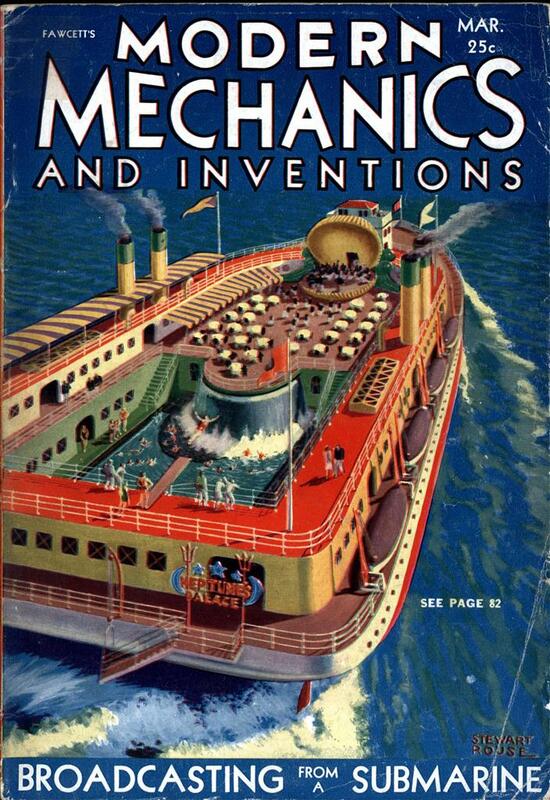 When the photograph was taken, the inventor was using a wire netting covering on the left wheel and a canvas covering on the right in an effort to determine which was the most efficient. The wire netting snowshoe proved to be most satisfactory. The width’ of the snowshoes is ample to prevent the rear wheels from digging through the snow, and ample traction is secured by the broad surfaces. Heavy ski runners are placed on the front wheels, from which the tires are removed in order to secure better bracing. Naturally this contraption does not enable high speeds to be developed, but it proves successful in deep show and is faster than a dog team. Ordinary tire chains on the rear wheels prove useful on hard-packed stretches of ice on city streets.